What happens when you substitute the human FOXP2 gene for that of a mouse? According to researchers at the Max Planck Institute for Evolutionary Biology, not much, except this interesting result — it changes their vocalizations. While the FOXP2 gene is important in the development of many different tissues, in humans it affects the development of the basal ganglia, a region of the brain important for language. When the human version of FOXP2 is introduced into mice, a measurable result is a change in their ultrasonic vocalizations – baby mice have deeper squeaks. 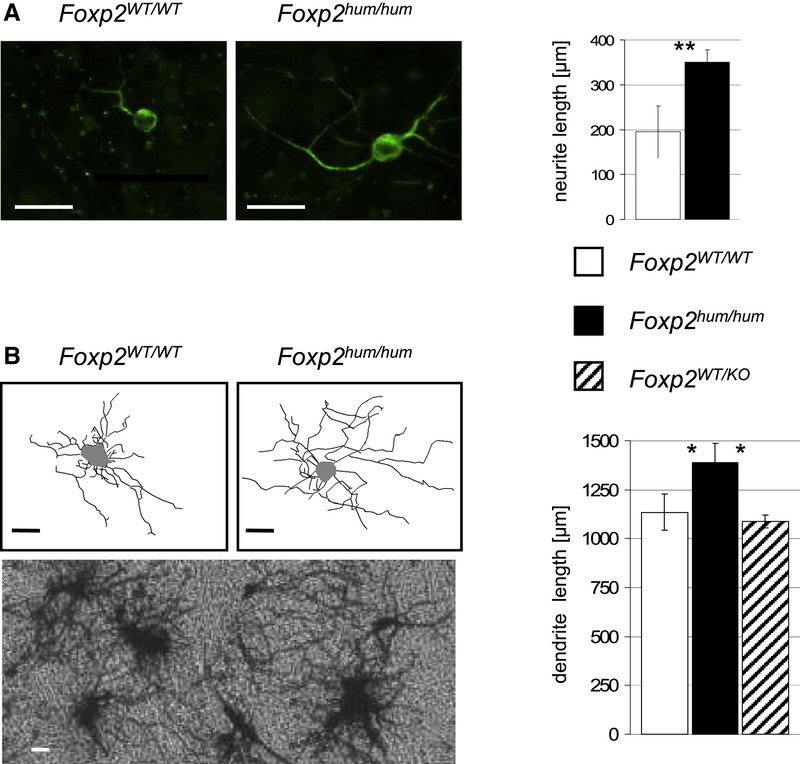 While this is interesting, and the kind of correlation one might expect, even more striking is what is going on in the brains of these mice — the mean length of dendrites in the basal ganglia region increased by 80% over mice without the human version of the gene. This groundbreaking study, with results recently published in the journal Cell, provides a new a model for research into how speech and language evolved in humans.